British police say they have resumed sharing intelligence about the Manchester bombing with U.S. counterparts. Britain had halted the exchange of information after details of the Manchester investigation — including forensic crime-scene photos — appeared in U.S. media. The disclosure infuriated British officials, and Prime Minister Theresa May brought up the leaks with President Donald Trump at the NATO summit Thursday. Mark Rowley is Britain's top counterterrorism officer and announced the resumption of intelligence-sharing late Thursday. Rowley says that "having received fresh assurances, we are now working closely with our key partners around the world including all those in the Five Eyes intelligence alliance." The Five Eyes is an intelligence-sharing group that includes the U.S., Britain, Canada, Australia and New Zealand. A relative of the man suspected in the deadly Manchester concert attack says he was driven to extremism after seeing a friend fatally stabbed last year. The relative spoke to The Associated Press on condition of anonymity due to the sensitivity of the matter and concerns for her own security. She said 22-year-old Salman Abedi complained of being treated badly in Britain and was troubled why there seemed to be no outrage over his friend's slaying. She says Abedi believed it was because the friend was Muslim. The relative says Abedi, who was born in England to parents from Libya, referred to Britons as "infidels" who "are unjust to the Arabs." Abedi died in the blast that killed 22 other people. 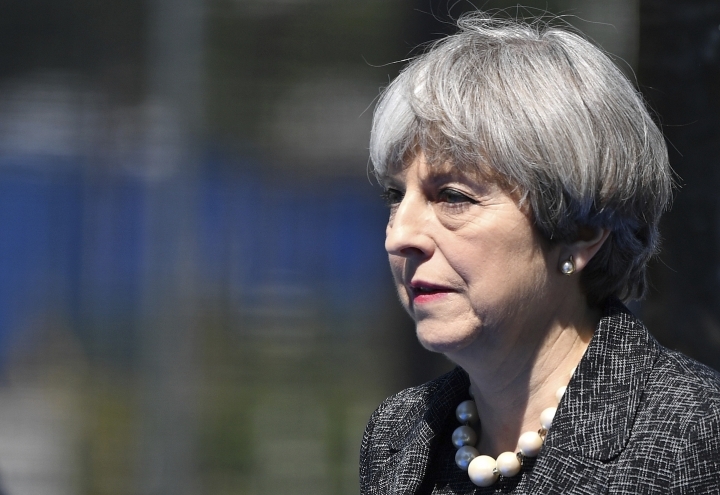 Prime Minister Theresa May has raised her concerns over alleged intelligence leaks from the Manchester bombing investigation with U.S. President Donald Trump. A British official confirms that May discussed the matter with Trump after they posed with other NATO leaders at a summit in Brussels on Thursday. The official, who spoke on customary anonymity, did not provide details. The U.S. and British leaders talked again later, sitting next to each other at a working dinner. May looked stern, while Trump waved his hands. Manchester police stopped providing information to the United States about the Monday concert bombing after photos of the crime scene appeared in the New York Times, though it was not clear where the photos came from. May said earlier Thursday that she would stress to Trump "that intelligence that is shared between law enforcement agencies must remain secure." A spokesman for an anti-terror force in Libya says the suspect in the Manchester bombing attack telephoned his mother hours before the attack and said, "Forgive me." 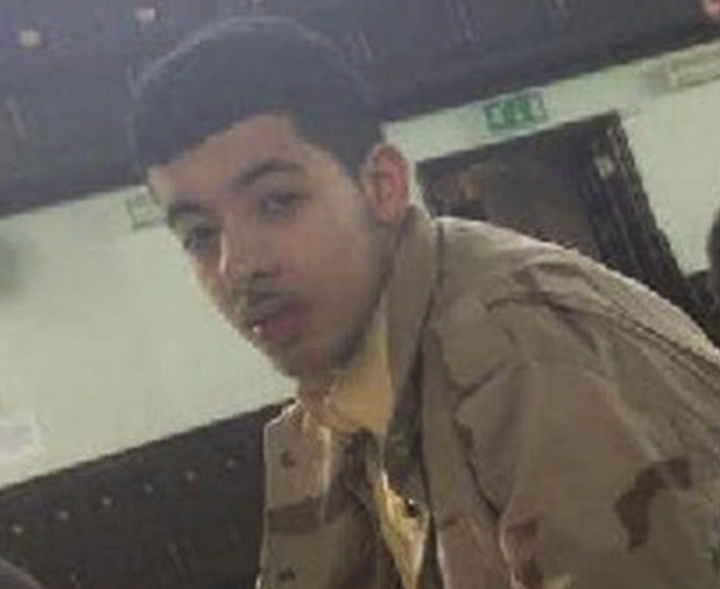 Special Deterrent Force spokesman Ahmed bin Salem said Thursday that 22-year-old Salman Abedi's mother and three of his siblings in Libya were summoned for questioning. Abedi died in the attack. Bin Salem says the mother told interrogators that her son left Libya for England only four days before the bombing and called her on the same day of the attack. Bin Salem said: "He was giving farewell." Another sibling, 18-year-old brother Hashim, and Abedi's father were arrested in Tripoli on Wednesday. Bin Salem said Libyan investigators think, based on what Hashim Abedi told them, "the bomber acted alone." He says the brother told them that Salman learned how to make explosives on the internet and wanted to "seek victory for the Islamic State." Libya's U.N.-backed government says it is working with British authorities to identify the "terrorist networks" behind the Manchester concert bombing. Interior Ministry Undersecretary Col. Abdulsalam Ashour condemned the attack on Thursday and said the Tripoli-based government's anti-terror force is investigating. British officials have said the attack was by British-born Salman Abedi, 22, whose family is from Libya. 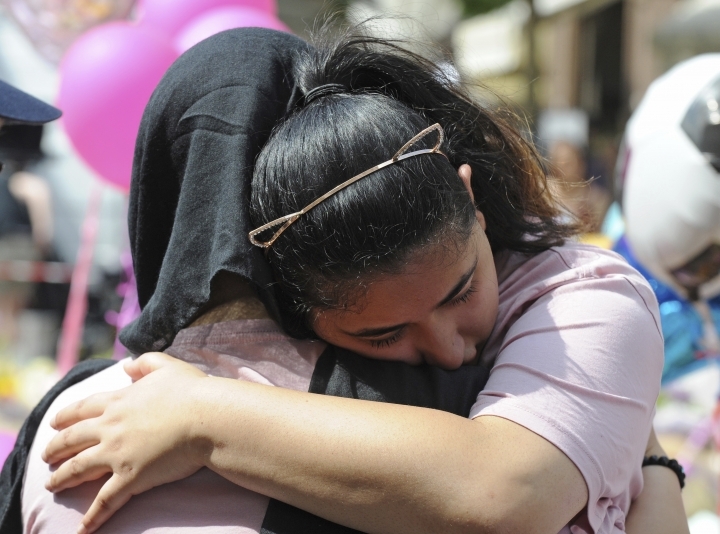 Abedi's father and younger brother were arrested in Tripoli on Wednesday. Before his arrest, the father told The Associated Press that his son was innocent. A statement from Libya's Special Deterrent Forces claims the brother told investigators both he and Salman belonged to the Islamic State group. The Monday night bombing killed 22 people. Abedi died in the attack. U.S. Secretary of State Rex Tillerson is making a snap visit to London on Friday to show America's support for Britain after the Manchester bomb attack that killed 22 people. 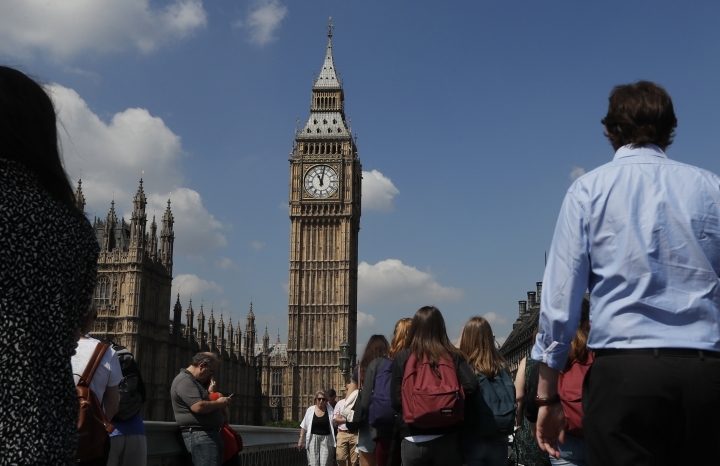 The trip comes as police and government officials in England have been angrily denouncing alleged leaks to U.S. media outlets of information from the attack investigation. The alleged leaks led British authorities to suspend some information sharing with the U.S. on Thursday. Britain's Foreign Office said Thursday that Tillerson and Foreign Secretary Boris Johnson will hold talks and write messages of condolence for the victims. The Foreign Office says they plan to make brief statements to the press. Tillerson does not plan to be accompanied by any journalists on the brief visit, after which he will return to Washington. Officials say the plan is to "ensure that the travelling public are kept safe on the rail network." 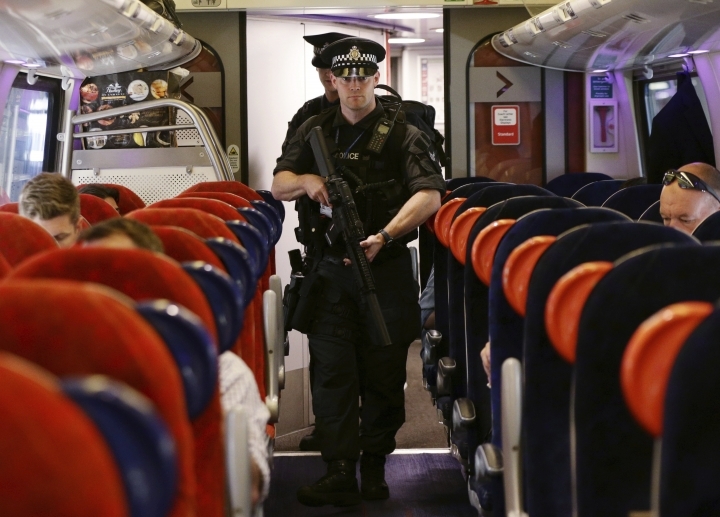 British Transport Police Chief Constable Paul Crowther says the force has "radically increased" its presence since the Monday night attack in Manchester. A Turkish official says the 22-year-old man suspected of bombing concertgoers in Manchester traveled through Istanbul and Dusseldorf, Germany on his way to Britain days before the attack. The government official said Thursday that Salman Abedi flew into Istanbul on May 18 and later departed for Dusseldorf. The official would not say which country Abedi had arrived from. The official said however, that the attacker had on several occasions in the past used Istanbul as a transit for flights between Libya and Europe. The official spoke on condition of anonymity because of government rules that bar civil servants from speaking to reporters without prior authorization. Universal Pictures has scrapped plans for the London premiere of Tom Cruise's "The Mummy," the latest big, glitzy event canceled following the Manchester attack. In a statement, the studio says it was "devastated" by Monday attack's at an Ariana Grande concert in Manchester: "Out of respect to those affected by this tragedy we have decided not to move forward with the London premiere." That move comes a day after Warner Bros. scrapped its London premiere of "Wonder Woman" on May 31. Stars Gal Gadot, Chris Pine and Robin Wright had been scheduled to walk a red carpet. Bands like Blondie and Take That canceled shows in the immediate aftermath of the bombing, and Netflix scrapped a few screenings. Grande's concerts through June 5 have been canceled. Former President Barack Obama has appeared in a video alongside German Chancellor Merkel and the Archbishop of Canterbury condemning the deadly attack on a concert in Manchester. Obama is in Berlin for a religious conference. He said in the video, posted Thursday by Merkel spokesman Steffen Seibert, that "I'm heartbroken by the extraordinary tragedy that's occurred in Manchester." 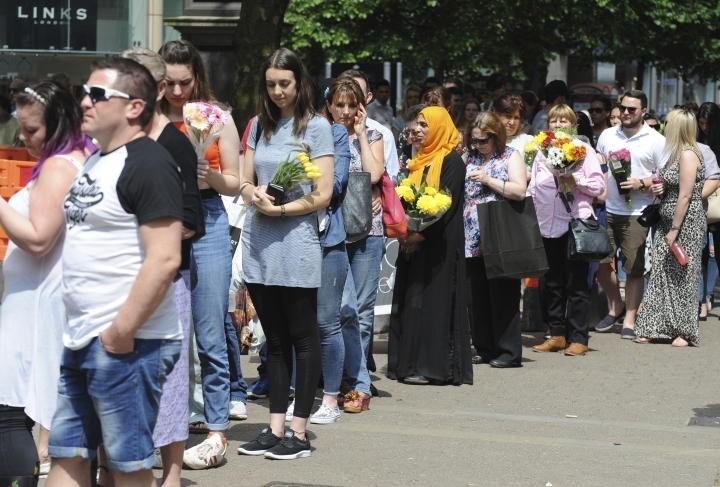 He said that, "To all the families who have been affected, to those who lost loved ones: it's unimaginable to think about the cruelty, the violence the city of Manchester has suffered." Merkel said that the thoughts of all Germans are "with you in Manchester after you had to go through this horrible incident." She said that "we are mourning with you, but we also stand with you." British Prime Minister Theresa May says that she will make it clear to President Donald Trump that intelligence shared between law enforcement agencies "must remain secure." May made the comments to reporters after entering NATO headquarters for a summit. Some British officials have suggested that U.S. officials are leaking sensitive information to American media outlets about the investigation into the Manchester attack. May also said "we have a special relationship with the USA. It's our deepest defense and security partnership that we have." "Of course that partnership is built on trust, and part of that trust is knowing that intelligence can be shared confidently, and I will be making clear to President Trump today that intelligence shared between law enforcement agencies must remain secure." The New York Times has defended its publication of crime scene photographs showing evidence collected after the Manchester bombing, saying its reporting on the attack has been responsible. Some British officials have suggested that the information was leaked by U.S. officials, but it isn't clear where The Times got the information. Manchester police chief Ian Hopkins said the story and photographs were "distressing" to victims' families. Prime Minister Theresa May is due to discuss the issue with President Donald Trump at a NATO summit in Brussels. The Times said in a statement that "the images and information presented were neither graphic nor disrespectful of victims." It added that its coverage of the attack "has been both comprehensive and responsible." Manchester's Premier League soccer clubs have combined to donate 1 million pounds ($1.3 million) to a victims' fund established after Monday's suicide bombing in the northern English city. The cash pledge from Manchester United and Manchester City takes the "We Love Manchester Emergency Fund" over 3 million pounds. United executive chairman Ed Woodward says "the barbarism of Monday evening's attack has shocked everyone. Our clubs are right at the heart of our local communities in Manchester and it is right that we present a unified response to this tragedy." Man City chairman Khaldoon Al Mubarak hopes the donation "will go some small way to alleviate the daunting challenges faced by those directly affected." 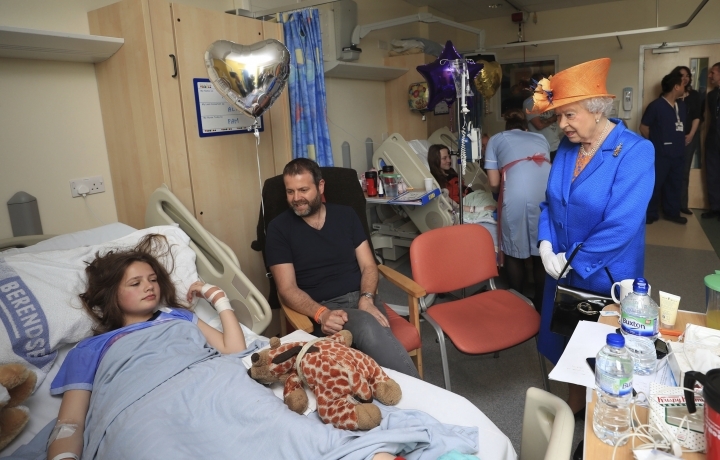 Queen Elizabeth II has told children injured in the Manchester bombing that the attack was "dreadful and wicked" as she visited a children's hospital to meet victims, families and medical staff. The 91-year-old monarch told 14-year-old Evie Mills and her parents: "It's dreadful. Very wicked, to target that sort of thing." She also chatted and shook hands with hospital staff, and told the father of another teenager at Royal Manchester Children's Hospital: "It's not something you expect at all." Twelve children under the age of 16 were taken to the hospital by ambulance following Monday's attack at Manchester Arena, where pop star Ariana Grande was finishing a concert when a powerful bomb killed 22. The families of a teenage couple killed in the Manchester bombing say the pair "wanted to be together forever and now they are." In a joint statement released through Manchester police, their families say 17-year-old Chloe Rutherford and 19-year-old Liam Curry were "perfect in every way for each other" and "inseparable." The families said: "On the night our daughter Chloe died and our son Liam died, their wings were ready but our hearts were not." The couple was among 22 people killed Monday night when bomber Salman Abedi targeted an Ariana Grande concert attended by many young people. Others confirmed dead on Thursday included 14-year-old Sorrell Leczkowski. Her family, who went on Monday to collect her from the concert, said her grandmother is in intensive care and her mother is recovering from surgery. A British official says police in Manchester will stop sharing information about their bombing investigation with the U.S. until they get a guarantee that there will be no more leaks to the news media. The official, who spoke on condition of anonymity because he was not authorized to speak publicly, said there is progress being made on the investigation despite the leaks. British Prime Minister Theresa May is expected to raise the issue of the leaks with President Donald Trump in Brussels later Thursday. British officials are particularly angry that photos detailing evidence about the bomb used in the Manchester attack were published in The New York Times, though it was not clear where those came from. 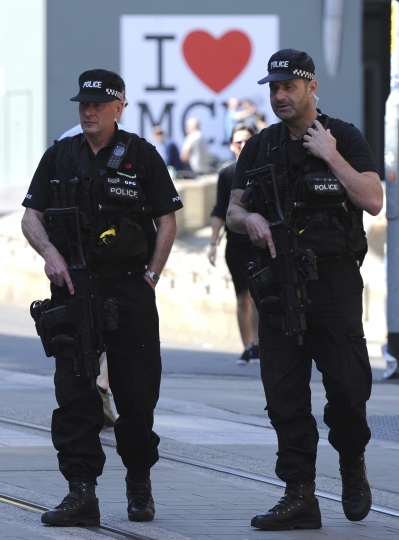 Manchester police would not comment on information-sharing, but said at a news conference that the families of attack victims were distressed by leaks. The head of Manchester police says raids and searches across the city have uncovered items believed important to the investigation into the bombing at Manchester Arena. Chief Constable Ian Hopkins added that the eight suspects detained so far were "significant" arrests, without elaborating. He said Thursday the searches will take several more days to complete. Police have swooped in on multiple addresses in the city since Tuesday and those arrested include bomber Salman Abedi's brother. Commenting on the leaking of evidence from the investigation to the New York Times, Hopkins said it was "absolutely understandable" that this caused "much distress" to families of victims already suffering with their loss. 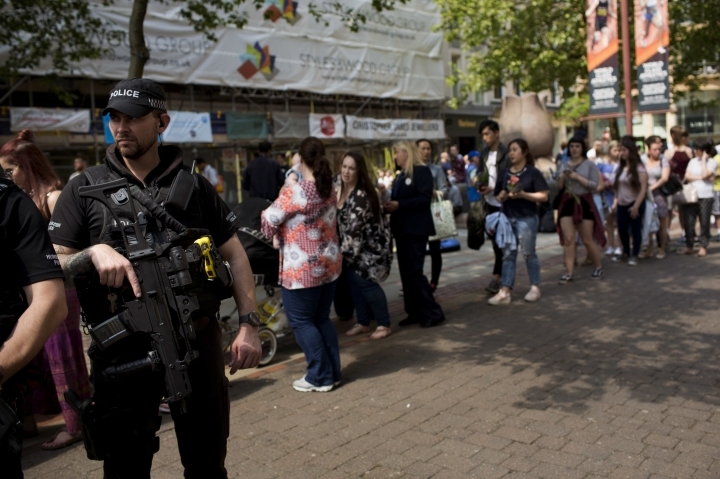 British police say an incident attended by officers and army bomb disposal teams in Manchester is now over and the area has been deemed safe. Greater Manchester Police said officers and soldiers went to a street in Hulme, southwest of central Manchester, on Thursday to deal with a possible suspicious package. The move sparked a brief period of alarm, coming amid a fast-moving investigation into Monday night's deadly bomb blast at Manchester Arena that killed 22. Police say the bomber belonged to a network and that investigations are taking place across Manchester. Police said the cordon in the area has been removed. The family of an off-duty policewoman who died at the Manchester concert attack has paid tribute to her courage. 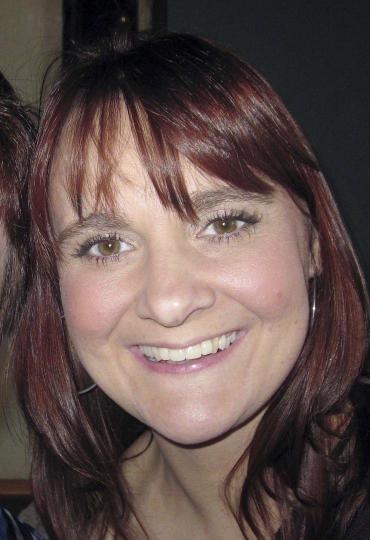 Elaine McIver, who served with Cheshire Police, was at the Ariana Grande concert with her partner, Paul, who was wounded in the deadly explosion. In a statement Thursday, her family said she was "the best we could ever have wished for," adding: "Despite what has happened to her, she would want us all to carry on regardless and not be frightened by fear tactics, instead she regularly urged us all to rise up against it." In total, 22 people — including teenagers and children — were killed in Monday night's blast. 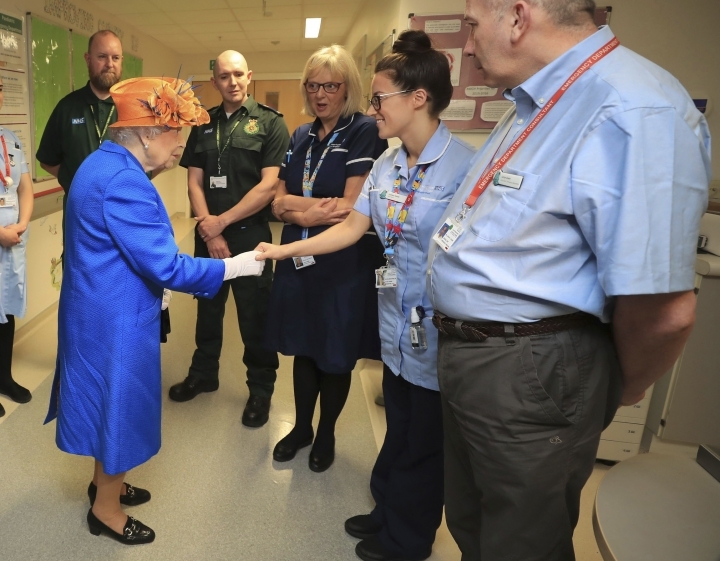 Queen Elizabeth II has arrived at a children's hospital to visit those injured in the Manchester Arena blast and the medical staff treating them. The queen is expected to meet victims at Royal Manchester Children's Hospital. Twelve children under the age of 16 were taken to the hospital by ambulance following Monday night's attack, which saw 22 people in total killed and dozens more injured. A German magazine reports that the Manchester concert bomber passed through Duesseldorf airport four days before the attack. Citing unnamed federal security sources, Focus reports that British-born Salman Abedi twice flew from a German airport in recent years and wasn't on any international watch list. A German security official told The Associated Press on Thursday the report was accurate. The official spoke on condition of anonymity because the information hadn't been cleared for public release. Focus reported that German authorities are now trying to determine whether Abedi had contact with Islamic extremists in Germany before flying to Manchester last week. It says he previously flew from Frankfurt to Britain in 2015. The magazine also reports that British police informed their German counterparts Abedi had received paramilitary training in Syria. 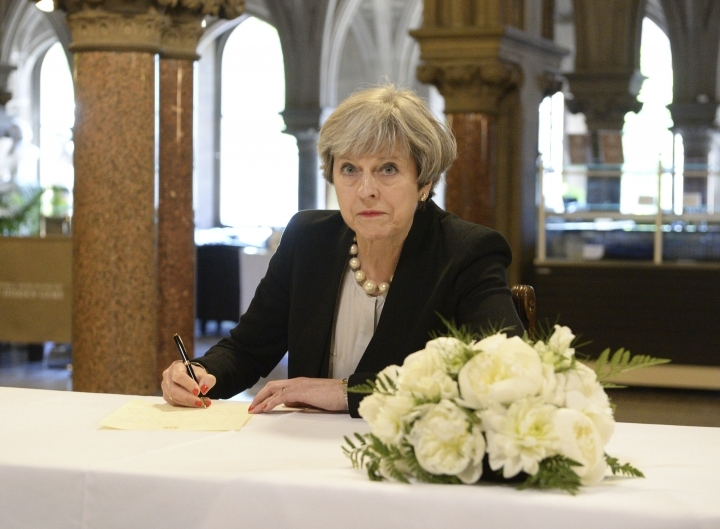 British Prime Minister Theresa May says progress is being made in the Manchester bombing investigation but the national threat level remains critical — meaning another attack may be imminent. Speaking after a meeting of the government's COBRA crisis committee, May said "the public should remain vigilant." May said eight suspects are in custody and "progress is being made." The threat level for Britain was raised to its highest level after bomber Salman Abedi killed 22 people at a concert Monday night at Manchester Arena. Police say he was part of a network and they are racing to track down his links. British police say officers and the army are responding to an incident at a college in Trafford, a district near Manchester. Greater Manchester Police confirmed reports that an army bomb disposal team was at the scene Thursday. The force said it was too early to say whether the alert is linked to its investigation into the Manchester bomb attack. It said several roads were closed and officers were "currently assessing the situation." Police arrested two more people and were on Thursday searching a new site in Manchester suspected of links to the bombing that killed 22 people at a pop concert, as British authorities complained bitterly about investigation leaks by U.S. officials. Prime Minister Theresa May is expected to raise the issue of the leaks with President Donald Trump in Brussels later. British officials are particularly angry that photos detailing evidence about the bomb used in the attack were published in the New York Times. British security and law enforcement officials were reviewing whether other sensitive information involving the investigation should be shared, according to one official who spoke on condition of anonymity because he was not authorized to speak about the ongoing investigation. The official added that the intelligence sharing agreement between Britain and the United States is built on trust and that leaks jeopardize active investigations. Greater Manchester Police have released a statement condemning U.S. intelligence leaks on the Manchester bombing on behalf of the National Counter-Terrorism Policing units. The note suggested a severe rupture in trust between Britain and the United States, who have traditionally shared intelligence at the highest levels. 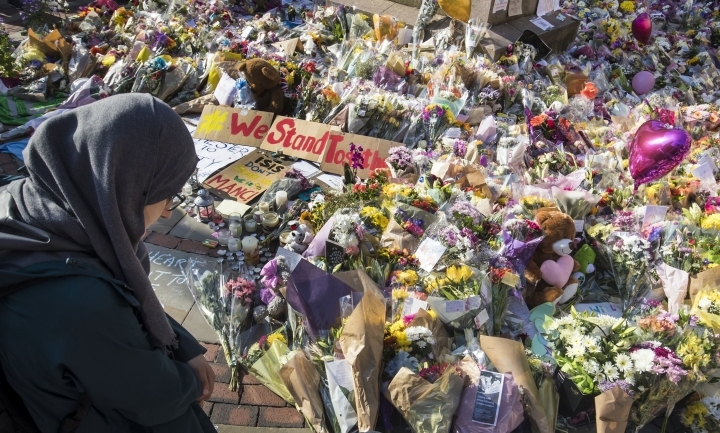 Police and security services are also upset that the name of bomber Salman Abedi was apparently leaked by U.S. officials and published while police in Britain were withholding the name for what they said were reasons of operational security. 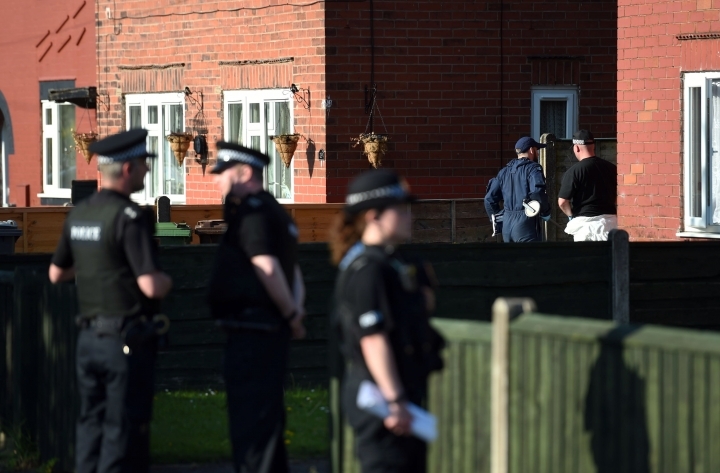 When the name of the bomber was allegedly released by U.S. officials, raids were underway both in Manchester and in Libya where the bomber's father lives. British police are rushing to uncover the network thought to have helped Manchester Arena bomber Salman Abedi in the attack on the Ariana Grande concert. 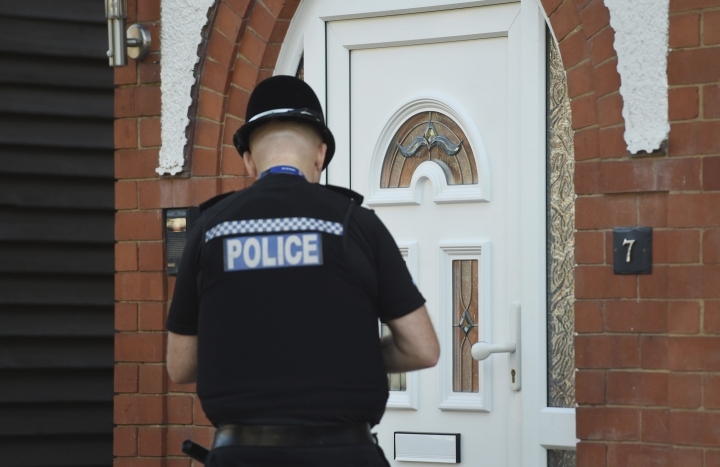 Greater Manchester Police say two men were arrested overnight Thursday in Manchester and in the Withington area south of the city. Officers also raided a property in the city's Moss Side neighborhood early Thursday and carried out a controlled explosion. Abedi died in Monday's blast the Grande concert. Grande has cancelled concerts scheduled for Thursday and Friday in London, and in several other sites in Europe.